Aperture‘s “Elements of Style” issue investigates the role of style, dress, and beauty in the formation of individual identity. 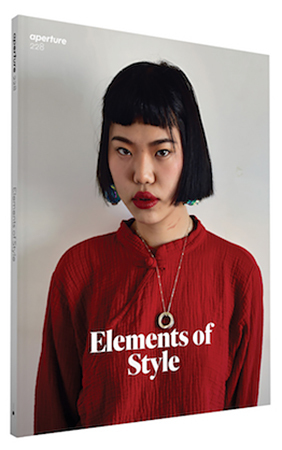 From the stunning studio work of Kwame Brathwaite, the Harlem-based photographer who advanced the potent political slogan “Black Is Beautiful,” to Collier Schorr‘s representations of the queer community in fashion contexts, to Pieter Hugo‘s portraits of young students at a Beijing art school, this issue reveals, across time and geographies, how fashion and style help us to see who we are and who we might become. Use #ElementsOfStyle to join the conversation on Twitter, Instagram, and Facebook. Subscribe now to receive “Elements of Style” and more great issues.